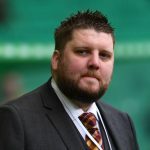 Motherwell F.C, Chief Operating Officer, Alan Burrows joins Sparra, Busta and Jay to reflect on the transfer window, update on Project Brave, look ahead to the future at Fir Park, go over the under-20’s injury-time loss to Crusaders, preview Saturday’s fixture with Kilmarnock and much, much more. Motherwell F.C. 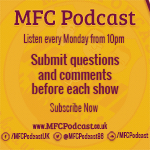 Chief Operating Officer, Alan Burrows joins Sparra, Busta and Jay for a special episode of the MFC Podcast in which we go over the SFA’s ‘Project Brave’ project and the potential effects on the club stemming from the initiative. We also discuss potential arrivals and departures during the January transfer window, preview this weekend’s Scottish Cup clash with Rangers at Ibrox and much more in this extended episode. As we slowly approach the kick-off of the Scottish Premiership season, Sparra and Jay are joined by Motherwell F.C. 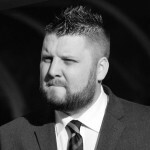 General Manager, Alan Burrows. 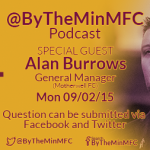 The MFC Podcast team are delighted to announce that Motherwell F.C., General Manager, Alan Burrows will be joining us on the next episode of the podcast.